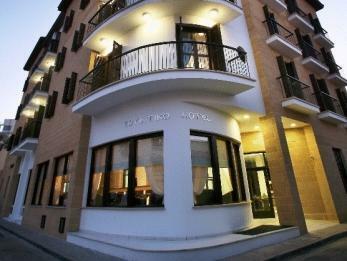 ﻿ Royiatiko Hotel Nicosia. JIMAT di Agoda.com! Royiatiko Hotel menikmati lokasi yang hebat di pusat bandar Nicosia, hanya 250 meter dari Stesen Bas Antarabandar. Ia menawarkan akses internet Wifi percuma di kawasan umum, dan bufet sarapan termasuk dalam kadar harga. Hotel ini berada dalam jarak berjalan kaki dari kawasan perniagaan, tempat hiburan malam, kafe dan daerah membeli-belah di Nicosia. Bilik-bilik yang bergaya di Royiatiko Hotel dilengkapi dengan kemudahan moden, termasuk penghawa dingin dan pengering rambut. Tetamu boleh menggunakan kolam renang luaran Royiatiko, dan kaunter penerimaan tetamu dibuka 24 jam sehari. Located in the center of Old City nearby bus station, museums and nice restaurants. Breakfast is nice, the variety (eggs, beans, different breads, vegetables, different cheese, fruits, cereal, olives, tea, coffee, milk) provides sufficient nutrient of a balance meal. Rooms are quiet and comfortable, equipped with refrigerator and kettle, no hair dryer though. Staff are friendly and helpful. Very good - thank you very much for the the very good support and service. The hotel is new and we stayed in a clean but small room with a standup shower bathroom - all new fixtures and as clean. 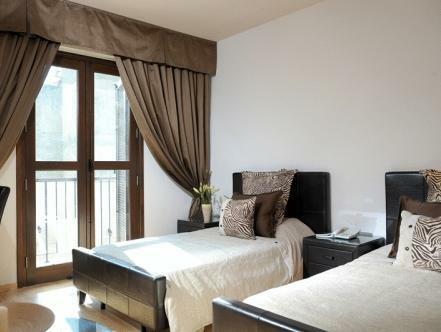 Perfect location as within walking distance to all the old city life - shops, cafes, restaurants and pubs. Very friendly front staff and cab services. Not a real bed and breakfast however - buffet heating dishes hold only slices of sandwich meats and processed cheeses. Scrambled egg availible from one dish but old - poorly cooked. Toast only with standard store bought jam - breakfast a real let down. Pool also is beautiful but we did not use as the patio was frequented by the hotel painters and maintenance people. No wifi in rooms, and we had difficulties with the line connection we were supposed to have availible to us. Wifi was ok downstairs. Hotel is clean, but this may be due to it being new - when we arrived to our room, some embarassing items were found in the night table from a previous guest. We had hotel staff remove these. In all suitable for a one or two night stay but no more. We only stayed for one night, en route from Turkey to southern Cyprus. The hotel is located perfectly - two minutes walk from the border crossing and bang in the middle of the old city. We hired a car the next morning and it was very easy to join the main city ring road from the car hire place, which was literally around the corner from the hotel - easy to navigate on the return journey too. Rooms were very nice with good clean bathroom, scrummy duvet and a balcony for warmer times of the year. We only saw the pool through the window - but it looked inviting and clean (not particularly inviting on a night where temperatures were only in single figures, so we weren't tempted!) Breakfast was fairly simple, but a reasonable selection of hams, cheeses, boiled eggs, fresh bread and juice. The food was all nice and fresh, and coffee was made freshly to order. Staff were faultless throughout the hotel - very helpful reception staff and pleasant breakfast staff. We will definitely stay here again on our next trip. Excellent. I recommend it. Very clean and comfortable room. Great location.